Liftside Condo is a true ski in/ski out condo complex in Breckenridge Real Estate. Located at the Base of Peak 9 of the Breckenridge Ski Resort and a short walk to Breckenridge’s Main Street makes Liftside Condo a great place to own in Breckenridge, Colorado. There are a total of 115 units, all of the units are studios. The Liftside Condo studios have full kitchens, space for a queen sized bed and couch/living room area. These are great condos for sale in Breckenridge CO for a 2nd home or as a rental. Recently, Liftside Condo has undergone a complete exterior renovation, giving this complex a fresh look. The interior hallways have also been redone with new trim, paint and flooring. 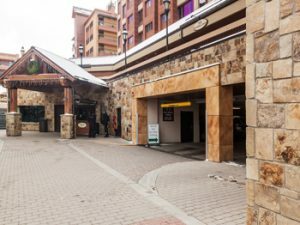 When owning or staying at Liftside Condo in Breckenridge CO you will have use of the amenities which include an outdoor hot tub, pool, fitness room and underground garage parking. Liftside Condo has one of the best locations for a condo in Breckenridge. When looking for a way to get into the Breckenridge Real Estate market, Liftside Condo is worth considering.